Collecting fashion jewelry can be addictive hobby, since they are generally affordable, trendy, and unique. 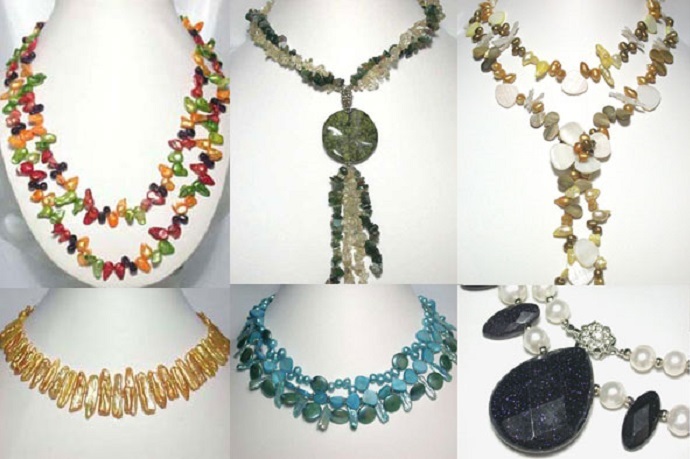 There are so many type of fashion jewelry, such as bib necklace, cocktail rings, long mono earring, all with combination of material and styles. Unfortunately, fashion jewelries have a short lifespan compared and break easily. Without a proper care, you can find your favorite items tarnished, turned green or become dull and lost its sparkle. However, there is way to keep those baubles beautiful and shiny longer. You only have to use precise fashion jewelry cleaner and do it correctly. These fashion jewelry care tips will help you to keep your collection shine longer. Sort out your jewelry collection by their type and material. Every type of jewelry need different handling method and care tips. 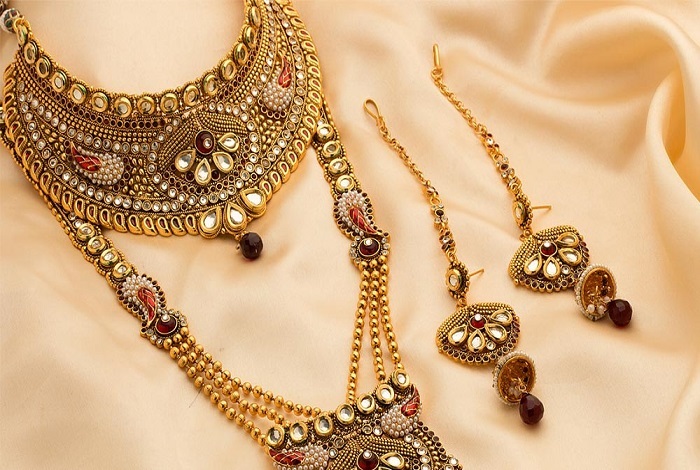 Separate the more elaborated types such as bib necklace and bangles from single line jewelry like necklaces or rings. Intricate jewelry needs more attention, since they caught dirt and sweat easier. Pay attention to those which have gemstones or crystals or beads, you don’t want it loose or break away during cleaning process. Jewelries with stones usually are glued to the metal, so you have to avoid cleaning them with too much water. If possible avoid water at all cost for jewelry that is made from fake leather, weaving and fabric, since water will make them worn out faster, even change their shape. Use Q-tips to clean jewelry that have small part like bib necklace, chandelier earring, and any jewelry in baroque styles. Rub the Q-tip in the small gaps to remove the dirt and grime, do not use silver or gold cleaner on your fashion jewelry since it may tarnish the metal. Soft toothbrush also can help removing verdigris, the green residue that sometimes builds on fashion jewelry. It is better to use new clean dry toothbrush as fashion jewelry cleaner. Dry toothbrush is more abrasive and by using the new one you will not transfer new dirt to your collection. For simple ring, cuff and studs, wipe them with washcloth meticulously and keep them dry every time you wear them. For tarnished jewelry, you might want to use lemon for making them sparkle again. Lemon is well known can get rid oxide layer that form because of exposure to the element and chemical substances, such as perfume, lotion, pool water etc. Adding a pinch of baking soda can also help expedite the process. For jewelries with silver coating, you can dip them into a cup of lemonade and salt and let them sit for couple hours. Vinegar and olive oil can also good ingredient for fashion jewelry cleaner. Make sure to wash off any leftover vinegar and olive oil afterward or it will damage the metal coating. Once your trinkets had cleaned properly, it is important to maintain the cleanliness daily. Put off your fashion jewelry away before you do daily activities such as washing dishes, bathing or sleep so they will not get tarnished easily. After each use, clean them by rubbing it gently with soft cloth. Sweat, perfume and lotion might be accidentally caught on your fashion jewelry, and to leave them there will make the oxidation process faster. Microfiber cloth and glasses wipes also make good fashion jewelry cleaner and help make your gemstones sparkling. Make sure every part is clean and dry before you store them. If your necklace got tangled, use baby powder and pin to help untangled it. If the chain or metal part start turns dull, you can use clear nail polish, top coat, or gloss acrylic spray to re-coating them. Keeping fashion jewelry in an open air will make them tarnish faster. Use Ziploc or plastic wrap for each item separately, or better if you have jewelry box. Organize your collection by types and material, beside it look tidier, it also make them easier to find and minimize the change you broke it or drop it on finding attempt. You can transform outdated jewelry by giving them touch of new look. Nail polish can be used to color clear gemstones, a necklace can be turned into unique headband by adding elastic hair tie and add bracelet to convert your necklace into exotic sautoir.